Citigroup announced it will cut 11,000 jobs as part of plan to cut costs, or about 4% of its global workforce. Citigroup announced it will cut 11,000 jobs as part of plan to trim costs, the first major initiative from the bank's new CEO, Michael Corbat. The bank will also take a $1 billion pre-tax charge during the fourth quarter, and approximately $100 million in related charges during the first half of 2013 as part of the plan, which is expected to save $900 million in 2013 and more than $1.1 billion annually beginning in 2014. The changes will also impact the bank's revenue .. but not enough to outweigh the benefits of the cost cutting. Citigroup said the moves should lead to a reduction of less than $300 million in revenue a year annually. "These actions are logical next steps in Citi's transformation," said Corbat, who took the helm after former CEO Vikram Pandit stunned investors when he announced his immediate departure in mid-October. 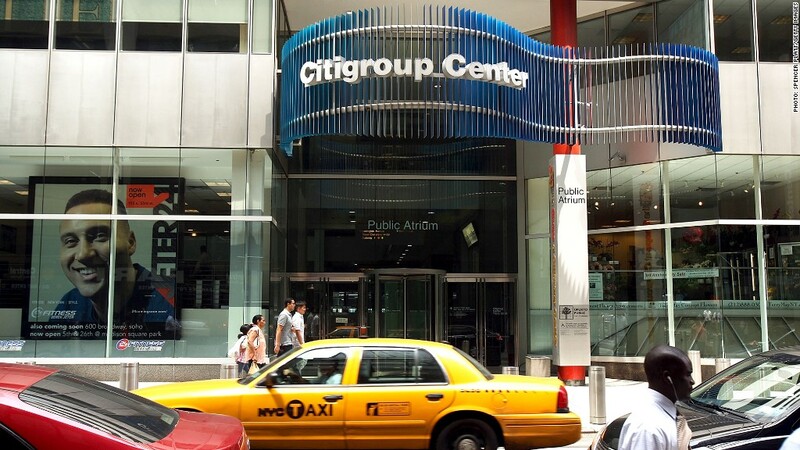 Citigroup has already begun making the layoffs, but expects them to continue throughout 2013. While the cuts are "fairly comprehensive," impacting the major divisions around the globe, Citi CFO John Gerspach said they are "part of a continuum." Gerspach, speaking at the Goldman Sachs Financial Services Conference Wednesday afternoon, said the bank is trying to "improve efficiencies." He added that Citi's management team will "continue examining every one of our businesses to make sure we are truly optimizing the implementation of our strategy." Layoffs are nothing new at Citi. Since November 2008, the bank has slashed about 25% of its staff. 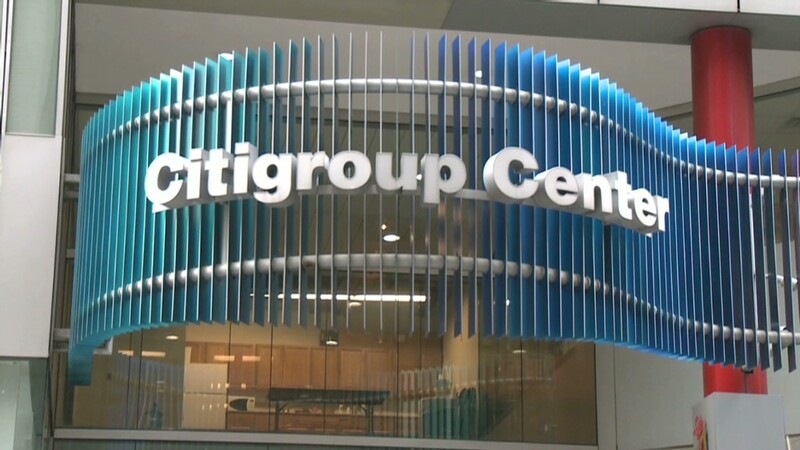 The 11,000 job cuts that were announced Wednesday amount to 4% of Citigroup's current workforce, which stood at 261,000 full-time employees at the end of September. The bank's streamlining plans will impact about 1,900 jobs in the institutional clients group, which includes investment banking and trading, and 6,200 positions in the global consumer banking division, which includes selling or scaling back operations where returns are low, such as Pakistan and Turkey. Citi said it will also consolidate and close 84 bank branches in Brazil, Hong Kong, Hungary, Korea and the United States. That works out to 2% of its branches worldwide. The bank will also eliminate 350 positions from Citi Holdings, the unit housing the bank's "bad" legacy assets from the financial crisis. Gerspach reiterated that the bank is focused on winding down Citi Holdings in an "economically rational manner," but it is not likely to sell mortgages and other assets at current prices. The remaining job reductions will be in the company's operations and technology division and global positions. As the bank slims its staff, Citigroup also plans to slash bonuses between 5% and 10%, a source with knowledge of the firm's year-end compensation plans told CNNMoney last week. Other bankers noted that downsizing on Wall Street is likely to continue. Greg Fleming, the president of Morgan Stanley's wealth management division said Citi's layoffs are consistent with the general trend in the financial services industry for the past several years. He pointed out that Morgan Stanley has also been repositioning and resizing. "We've been building our wealth management and asset management division to become more balanced," Fleming said at the Bloomberg Hedge Funds Summit event in New York. "I think that's ongoing for everybody in the industry." Morgan Stanley is in the middle of cutting roughly 4,000 jobs, or 7% of its staff. Those plans were first disclosed in July. As banks continue their recovery from the depths of the 2008 financial crisis and grapple with a slowing global economy and difficult trading environment, analysts expect that a bulk of their profit growth in 2013 will come from cost saving measures. "We expect double-digit profit growth next year for the banking industry, and estimate two-thirds of that will be due to expense savings and efficiency initiatives," said Marty Mosby, analyst at Guggenheim Securities, adding that Citigroup (C) stock is rallying, up more than 7%, as investors welcome the bank's "solidified plan to push those savings through." Mosby said other banks could announce additional steps -- including job cuts -- before the end of the year in order to deliver bigger profits in 2013..
"That's what management can control in an environment when its tough to create incremental revenue," said Mosby. As Citigroup shares rallied, Bank of America (BAC), Goldman Sach (GS)s, Morgan Stanle (MS)y were also up sharply. --CNNMoney's Maureen Farrell contributed to this report.